A ‘surprising’ piece of music for orchestra, percussion and electronics will be premiered at a concert in Plymouth University’s performing arts building, The House. Written by Professor of Computer Music Eduardo Miranda, Shockwaves will be played through a combination of instruments and loudspeakers, with the resulting sounds influenced by a computer-performer. With echoes of Haydn’s Surprising Symphony – for which the composer inserted elements designed to keep the audience on their toes – the work has been specially commissioned for a concert by the Ten Tors Orchestra. Taking place on Saturday 20 June in The House, it will also feature a range of classical masterpieces including Barber’s Adagio for Strings and Mozart’s Jupiter symphony. The concert forms part of two days of entertainment and public engagement on the University campus as part of the Big Festival Weekend and the Plymouth Respect Festival. 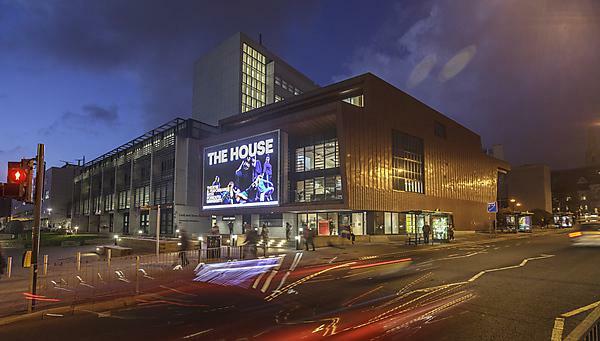 Shockwaves marks the extension of a partnership which has previously bought a number of innovative pieces to Plymouth audiences. These have included the choral symphony Sound to Sea, which was premiered in St Andrew’s Church at a concert to celebrate the University’s 150th anniversary, and a range of performances as part of the annual Peninsula Arts Contemporary Music Festival. For this performance, the orchestra will be joined on stage by a computer-performer, that will listen to the violin solo and accompany the orchestra in real-time by relaying sounds through the loudspeakers. The Big Festival Weekend will include opportunities for the public to tour cutting edge University research facilities and there will be showcases of prominent partnerships, while university graduates are also invited to return for a ‘Back to Plymouth’ alumni events programme. Innovative artwork will be showcased at HOT’15 – an exhibition of works by final-year students across a range of art and design disciplines – while events will also be staged in Drake’s Place Gardens and Reservoir, and there will be a host of family activities, such as campus trails and treasure hunts, a fun park, craft fairs and performances.